A vacant building in Carr Square. Such buildings cost the city and lead to blight. A few months ago, Alderwoman Cara Spencer was contacted by a whistleblower. 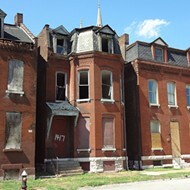 The person, who apparently works for the St. Louis building department, told Spencer about a little-known city ordinance that's likely saved north city's biggest property owner hundreds of thousands of dollars. 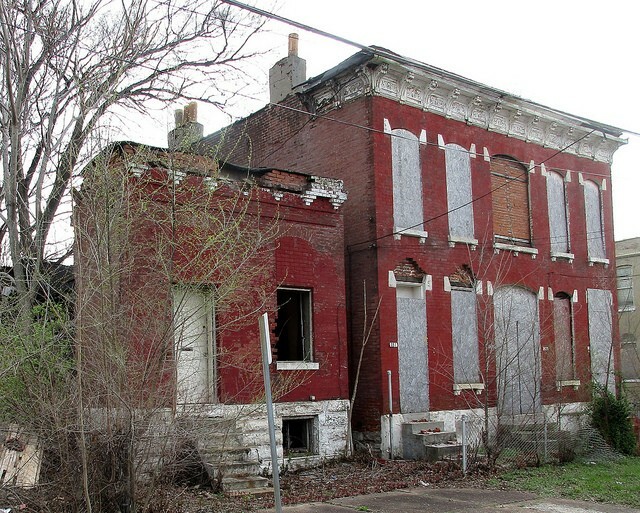 In short, anyone who owns a vacant building in the city of St. Louis can be on the hook for fines if they allow the building to fall into disrepair. As Frank Oswald, the city's building commissioner, explains, a property maintenance violation on a vacant building results in a $200 fine. If the owner doesn't fix it in 90 days, they get hit with another $250. And the cycle begins again six months later — $200 for a violation, followed by $250 if they don't remedy it. But city ordinances provide one big — and largely unknown — exemption. If the property is under a "redevelopment agreement" in partnership with the city, its owner is exempt from such fines. The one person with properties in such an agreement? Paul McKee — the same person who's infamously allowed hundreds of houses in north city to languish without ever actually redeveloping them. The whistleblower thought that wasn't right, and Spencer agreed. "It's an issue of fairness," she says. "We issue code violations all over the city when buildings present a clear and present danger. There's really only one exemption." And as Spencer explains it, it's not a matter of generating revenue for the city; it's a matter of getting buildings up to code. For most landlords, the fines and fees can be a powerful deterrent to letting their properties rot. With that in mind, she introduced Board Bill 171. The bill, which would remove the redevelopment exemption, passed out of committee yesterday morning and should be headed to the full floor for a vote. Building Commissioner Oswald testified in its favor. He says he's not sure of the origins of the exemption, other than that he believes the previous administration may have felt the high cost of land assemblage meant McKee was due a break. As for Oswald, he says, "I think everybody should be treated the same." Spencer estimates that McKee owns roughly 500 parcels with buildings on them. If the board bill is approved, and those buildings are found in violation, he could be looking at significant costs unless they're remedied. And coincidentally, Spencer's co-sponsor on the bill, Alderwoman Christine Ingrassia, recently sponsored a bill that would make it easier to force violators to pay up. Under the terms of Board Bill 242, the city's fines could be added to tax bills, making for easier collection. The bill got its final approval from the Board of Aldermen last week.